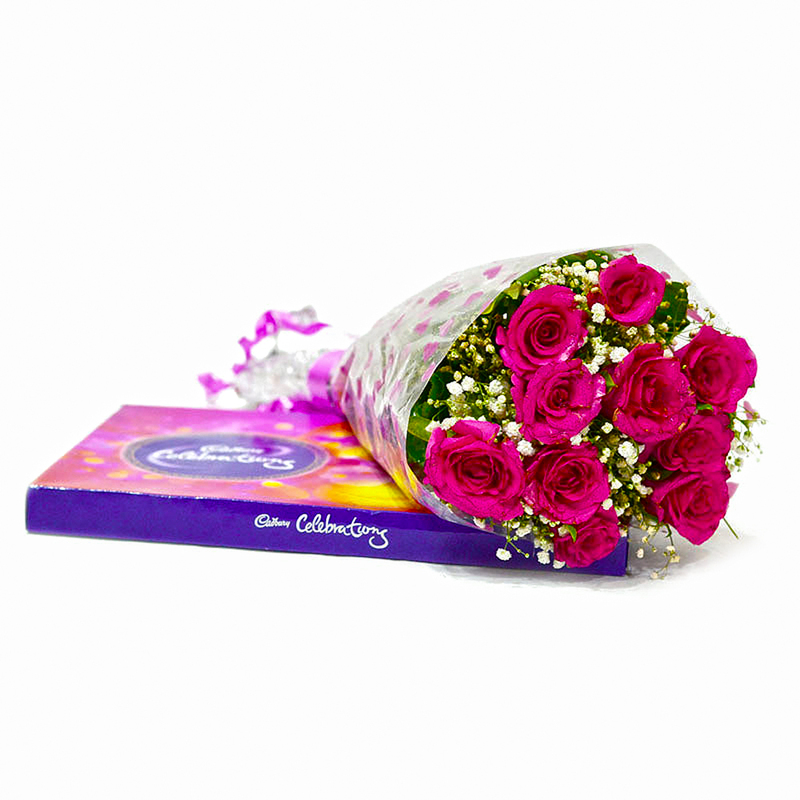 Product Consists: Bunchof 10 Pink Roses with lots of green fillers along with Cadbury Celebration Chocolate Box (Weight : 119 Gms). Show your sincerity towards your loved ones with this amazing gift item which is all set to bring smile on the face of the recipient. 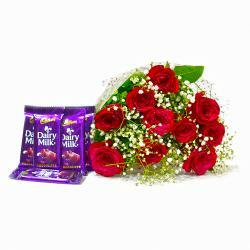 This gift combo is a bunch of ten pink roses tied with matching ribbon bow and cellophane wrapped along with cadbury celebration chocolate box This gift item is best for married couples to keep the romance alive in the relationship. You can gifted this hamper on occasion of birthday, anniversary , valentines day, missing you, Buy this gift item for your better half , mother, and special friends and express your genuine love for him / her. Thus, send this alluring Gifts to India through Giftacrossindia and make your recipient feel extra special. 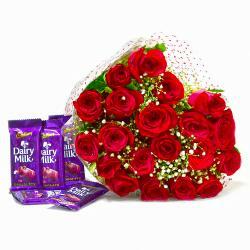 This gift hamper contains : Bouquet of 10 Pink Roses with lots of green fillers along with Cadbury Celebration Chocolate Box (Weight : 119 Gms).